The logo artwork for the 2018 National Fossil Day features three giants of the Late Cretaceous of southwestern Texas, 69 million years ago. In the foreground, getting ready to take flight from the river, is one of the largest known flying organisms, the pterosaur Quetzalcoatlus northropi. In the middle ground, another Quetzalcoatlus stands its ground against a large tyrannosaur dinosaur. In the background, examples of the early broadleaf tree Javelinoxylon can be seen on the far shore of the river. The fossils that inspired the 2018 National Fossil Day logo artwork were collected from Big Bend National Park in West Texas, bordering the Rio Grande River and Mexico. Big Bend National Park was established June 22, 1944 and covers 801,163 acres in the Chihuahuan Desert. This park has an outstanding fossil record from the Early Cretaceous (130 million years ago) to the Late Pleistocene (10,000 years ago). The 2018 National Fossil Day logo artwork depicts fossils from the latest Cretaceous Javelina Formation. The Javelina Formation represents an inland floodplain environment. Meandering rivers carried large amounts of mud, silt, and sand across a broad basin. These sediments rapidly buried the remains of plants and animals that lived in or near these rivers. Large fossilized tree trunks of Javelinoxylon and other tree fossils suggest the Javelina Formation had tall gallery forests near these rivers. Many fossils of fish, turtles, crocodiles, and small mammals have been found along with dinosaurs and pterosaurs. In 1971, University of Texas–Austin graduate student Douglas A. Lawson discovered the first Quetzalcoatlus fossils from the Javelina Formation in Big Bend National Park. These fossils consisted of bones to a partial wing of a gigantic flying reptile, or pterosaur. Lawson named Quetzalcoatlus northropi after the Aztec feathered serpent god Quetzalcoatl, and John Knudsen Northrop, the founder of the avionic manufacturing company Northrop. Pterosaurs were the first group of vertebrates to evolve powered flight. Not dinosaurs, but cousins of dinosaurs and crocodilians, they appeared during the Late Triassic and lived until the very end of the Cretaceous (237 to 66 million years ago). The pterosaur wing evolved from an elongation of the fourth finger of the hand (the ring finger on people), supporting a membrane of skin and other tissues that extended from the end of this finger to the side of the body and the ankles. Many pterosaur fossils show they were covered in hair-like filaments. Pterosaurs evolved into many different species and filled many different niches, similar to modern birds and bats today. Pterosaur fossils are uncommon except in special circumstances, and Big Bend National Park is the only unit of the National Park Service from which pterosaur fossils have been officially described. Quetzalcoatlus was one of the last and largest pterosaurs to evolve. Fossils of Quetzalcoatlus have been found in Texas and Montana. Large Quetzalcoatlus had wingspans of roughly 33 to 36 feet, comparable in size to a small aircraft. This pterosaur had a long toothless beak, a long neck, and relatively short broad wings. Recent research suggests that Quetzalcoatlus and its relatives were dominantly terrestrial, hunting on all fours for relatively small prey like a giant, four-legged stork. Quetzalcoatlus and Tyrannosaurus: giants from the end of the Age of Reptiles. Illustration by Julius Csotonyi and Alexandra Lefort, used with permission of Big Bend National Park. In 1976, Douglas Lawson also described the first Tyrannosaurus fossil from Texas, which wCaas also discovered from the Javelina Formation of Big Bend National Park. This fossil is part of an upper jaw bone (the maxilla) with teeth. A few other bones have been found since then. The scarcity of the fossils makes it difficult to be certain if the fossils are from T. rex or a related species in Tyrannosaurus. Tyrannosaurus is best known from fossils collected in Montana, Wyoming, South Dakota, North Dakota, and parts of western Canada. Tyrannosaurus is also known from southwestern states such as Utah, Colorado, New Mexico, and Texas, but these records are scanty, consisting of a few bones and teeth. These fossils do suggest that Tyrannosaurus was widespread in western North America during the latest Cretaceous. Many other dinosaurs once roamed the floodplain that makes up the Javelina Formation in Big Bend National Park. Bones of herbivorous hadrosaur (duck-billed) dinosaurs are the most common dinosaur fossils found within the park, and at least three species were present. Two species of ceratopsian (horned) dinosaurs have been found, including the recently described Bravoceratops polyphemus, which is known only from Big Bend National Park. The largest dinosaur from the Javelina Formation was Alamosaurus, a sauropod more than 80 feet long. Incomplete fossils of adult and juvenile Alamosaurus have been found at many places in the park. Animals of the Javelina Formation. Left to right: Tyrannosaurus; small mammals in foreground foliage; four Alamosaurus with a Quetzalcoatlus flying; a crocodilian and two turtles; three arch-snouted Gryposaurus; and three horned Bravoceratops. Illustration by Julius Csotonyi and Alexandra Lefort. Javelinoxylon is an example of an early broadleaf tree. Broadleaf trees are flowering plants, which first became widespread during the Cretaceous. Before then, large trees were conifers. Javelinoxylon is known from petrified wood, from fragments to logs more than two feet across. This tree could reach heights greater than a hundred feet. Javelinoxylon is one of more than 300 different kinds of fossil plants found in Big Bend National Park. The diverse plant and animal fossils of the park give us a detailed picture of different environments over time. Learn more about National Fossil Day and the NFD Logos and Artwork on the official National Fossil Day website. C. H. Greenewalt and D. A. Lawson. 1975. Could pterosaurs fly? Science, 188(4189): 676-678. D.A. Lawson. 1975. Pterosaur from the latest Cretaceous of West Texas: Discovery of the largest flying creature. Science, 187(4180): 947-948. D.A. Lawson. 1976. Tyrannosaurus and Torosaurus, Maestrichtian dinosaurs from the Trans-Pecos, Texas. Journal of Paleontology, 50(1): 158-164. T.M. Lehman and A.B. Coulson. 2002. A juvenile specimen of the sauropod dinosaur Alamosaurus sanjuanensis from the Upper Cretaceous of Big Bend National Park, Texas. Journal of Paleontology, 76(1): 156-172. T.M. Lehman, S.L. Wick, and J.R. Wagner. 2016. Hadrosaurian dinosaurs from the Maastrichtian Javelina Formation, Big Bend National Park, Texas. Journal of Paleontology, 90(2): 333-356. E.A. Wheeler, T.M. Lehman, and P.E. Gasson. 1994. Javelinoxylon, an Upper Cretaceous Dicotyledonous tree from Big Bend National Park, Texas, with presumed malvalean affinities. American Journal of Botany, 81(6): 703-710. S.L. Wick. 2014. New evidence for the possible occurrence of Tyrannosaurus in West Texas, and discussion of tyrannosaurid dinosaurs from Big Bend National Park. 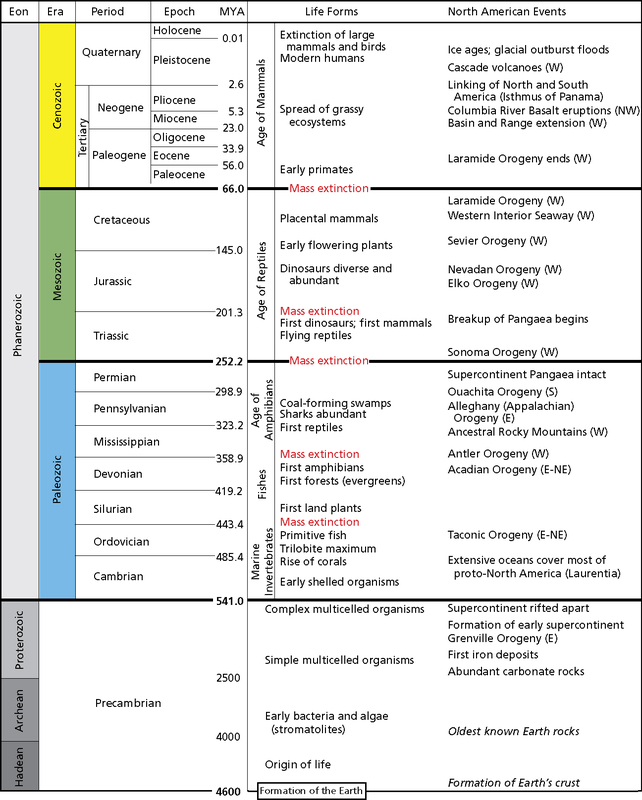 Cretaceous Research 50: 52-58. S.L. Wick and T. M. Lehman. 2013. A new ceratopsian dinosaur from the Javelina Formation (Maastrichtian) of West Texas and implications for chasmosaurine phylogeny. Naturwissenschaften, 100: 667-682. M.P. Witton. 2013. Pterosaurs: Natural History, Evolution, Anatomy. Princeton University Press. 304 pp.